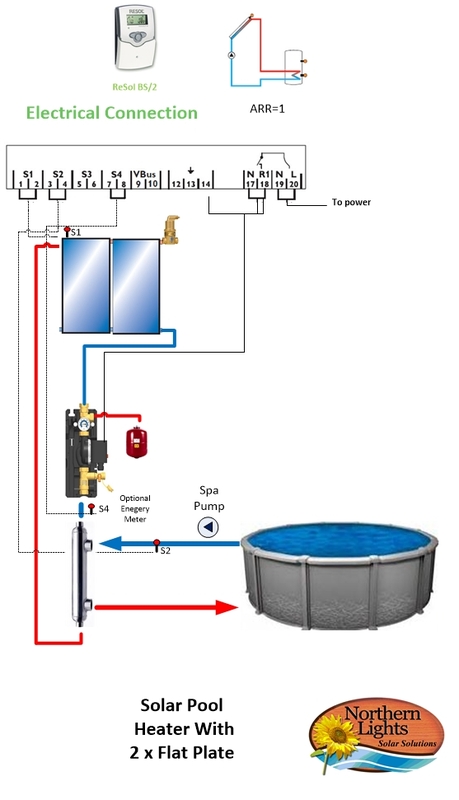 Complete Solar Pool Heating System using SunRain FPC1200D Flat Panel Collectors - These are the best collectors for seasonal pool heating. 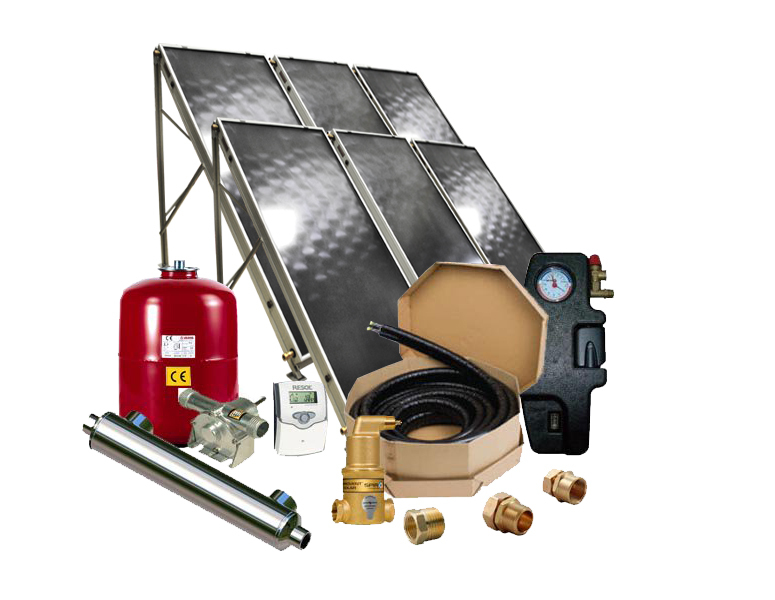 Note if you are heating year round or have an indoor pool then consider the solar vacuum tubes pool water heating systems for better cold weather performance. 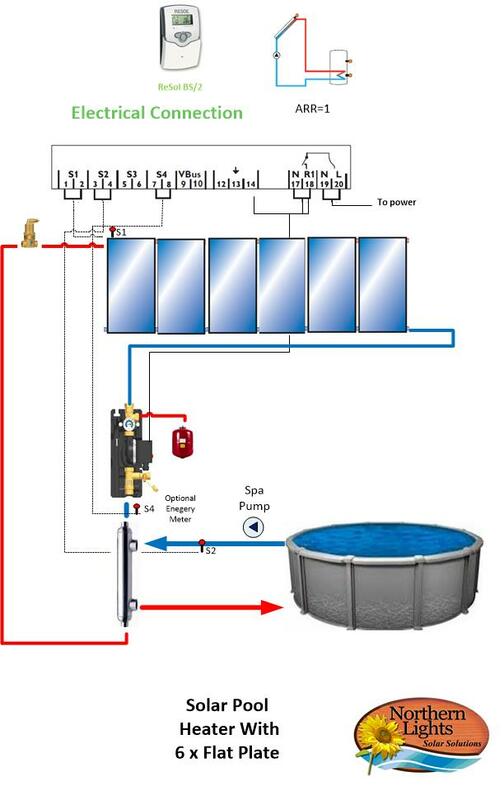 The flat panel solar pool collectors outperform any black plastic pool heaters of the past. With a life expectancy of 20 plus years and no leaks! 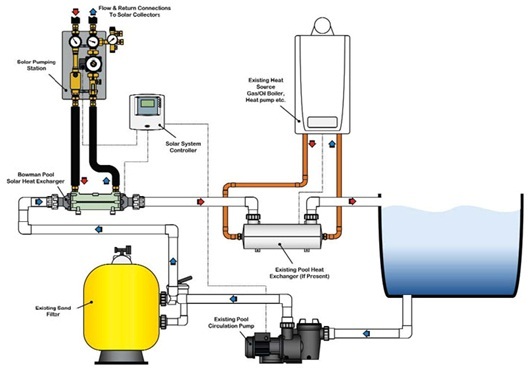 A solar pool heat exchanger is used to separate the damaging chlorinated pool water from the solar system This results in a system that does not reply on the pool pump to push the water up to the collectors saving $$ in operating costs and excessive wear. The flat panel collectors perform best in non freezing climates or for seasonal pool use. Works even on cloudy days! *NOTE Pools larger than this should use multiple pool heaters a 1000ft2 pool should use 2 x SPH-5 system's in parallel. Sizes are approximate, geographical location and the use of a pool cover will effect sizing. We feel that being honest is a much better policy to win your trust rather than trying to lure you with nearly impossible statements such as life time warranty. Nothing lasts forever! Our warranty policy is simple; we offer a 3 year warranty on everything we sell and 10 years on our collectors. With this warranty you will get NO hassle next business day replacement (if shipping service and inventory permits). However, as a valued customer you will get technical support through the life time ownership of your product. Our Collector do carry longer warranties 10 years from the manufacture. The warranty cover failures that occur during normal operational conditions or manufactures defects. It does not cover failure due to inappropriate operation such as freezing or over heat. Damage caused by vandalism, storms, floods etc. Your household insurance should be modified to cover the system from such situations.